The Ford Motor Company has a long and distinguished history of breaking records. The words Mustang, GT40 and Shelby immediately bring to the mind images of sleek, V8 powered speed machines born to do one thing – win. The Ford XF panel van is known more for its practicality than such excitement. Though, Alan Lacey’s 1989 XF Panel Van is anything but that. 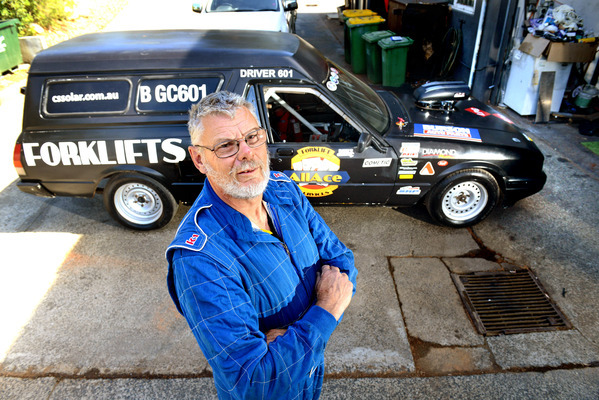 With a 408 cubic inch Ford Cleveland V8 running on vapour injected LPG and producing around 650 plus horse power, Mr Lacey’s panel van holds the title of Australia’s fastest salt racing panel van. On 15 March, at the Dry Lake Racers Australia Land Speed Records, held at Lake Gairdner, South Australia, Mr Lacey and his self-built panel van nicknamed ‘the flying brick’ reached a speed of 283.5km/h. Getting to that speed he said has been an eight-year journey. “I started the salt lake racing in 2010 … we went over first in 2009 to have a look after we watched the movie the world’s fastest Indian,” Mr Lacey said. Unlike his hero Burt Munroe, Mr Lacey chose four wheels over two and what better car to get him that record than his trusty XF. “Well I had the XF panel van and it was a work truck … it was just sitting in the factory and I thought let’s see what we can do with it. From there began an annual cycle where each year he would make his pilgrimage to Lake Gairdner constantly chasing faster and faster speeds. In 2018, Mr Lacey broke his own personal record and was only 17kms off 300km/h. So what does 283kph feel like in a panel van? Well Mr Lacey succinctly told the Mail ’fast’. 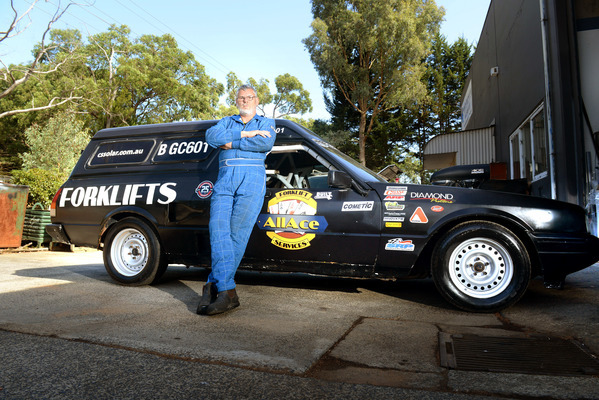 “In a panel van, it feels fast and it is fast but it’s stable ….at 170 mile per hour it just sits there,” he said. Much of the work on the car has been of Mr Lacey’s own design, and there’s isn’t much of the original XF left, though he concedes it’s taken a bit of doing and a few pay cheques. “We’ve done a lot to it; ported the engine, bigger cams, head work, put the gun scoop on … it’s taken eight years of work and just one or two dollars,” he said. Unlike most conventional cars, Mr Lacey’s panel van still runs on LPG, a challenge in itself. Each time he goes out to break previous speed records, there is always the uncertainty of how the vehicle will responds to the increase in speed. 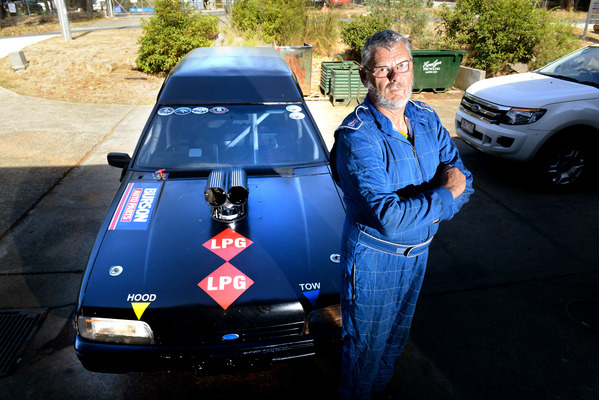 “You don’t know, you just don’t know especially running gas … the known previous gas record was 153mph and that was a 454 Monaro so we beat it with a panel van,” he said. Not one to shy away from a challenge, Mr Lacey said he’ll keep pushing ‘the flying brick’ to see what it can really do. 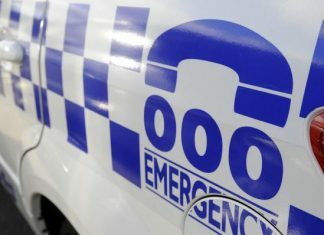 “Everyone thinks it’s a brick, which it is to a point but it’s not as bad a brick as it looks,” he said.